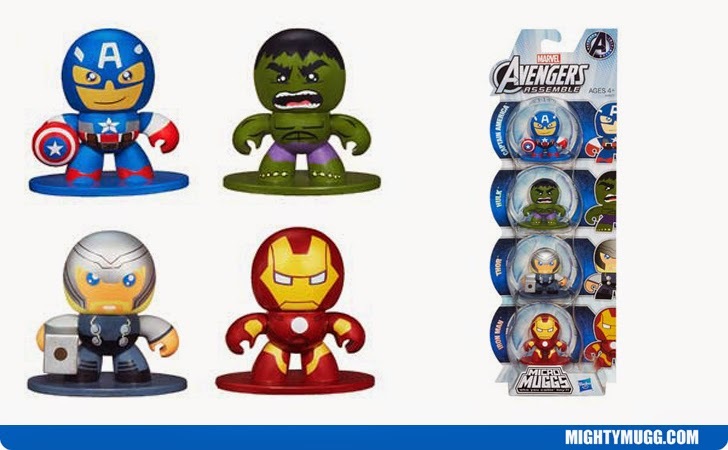 The Marvel Comics Micro Muggs above have shrunk to their smallest size yet and enlisted the awesome super team The Avengers! It features Captain America, Hulk, Thor and Iron Man! This micro four pack is packed with super strength!